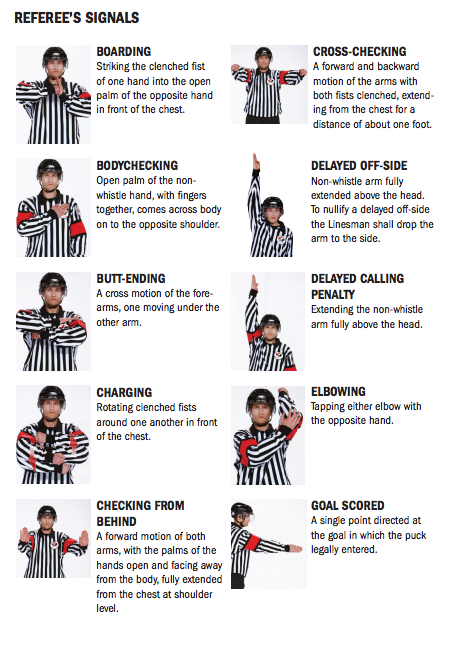 Hockey Referee/Official signals can be very confusing to anyone unfamiliar or new to the sport. 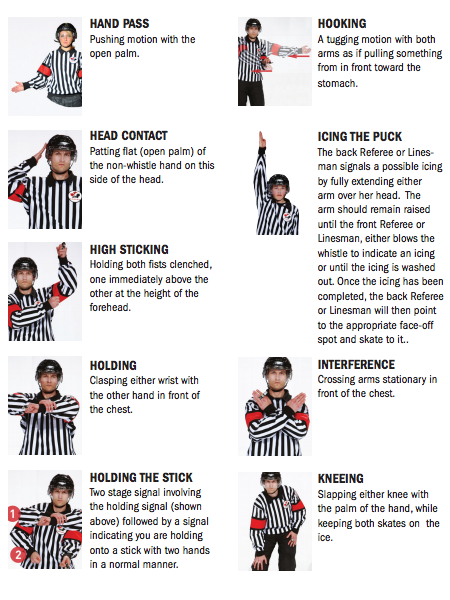 For every action/call an official makes on the ice, there is typically a corresponding hand signal to assist them in showcasing the call that is being made to both teams, the timekeeper and the individuals in the crowd. If you are new to the game and want to learn a little more about these signals and what they mean or you simply wish to brush up on your knowledge in order to better understand what it happening in your son/daughter's game, read through the following guide and you will be better prepared for the upcoming season. 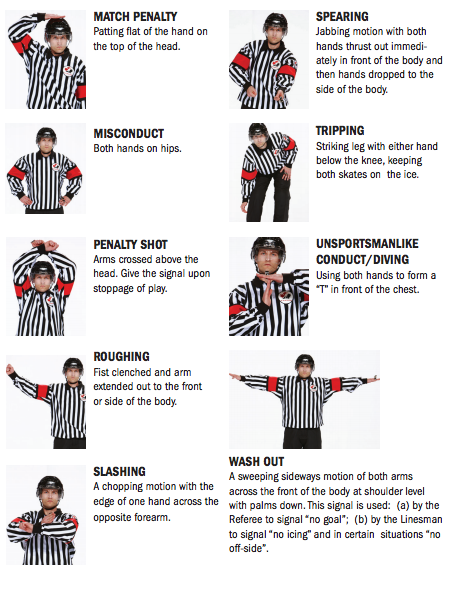 A free shot, unopposed except by the goalie, is given to a player who is illegally impeded from behind when in possession of the puck and with no opponent between him and the goal except for the goalie. The team that commits the offense is not penalized beyond the penalty shot, whether it is successful or not.